From the free consultation to the professional installation stage, you'll be amazed how great your new blinds and shades look and work. Look no further! The best window treatments in Costa Mesa are a free consultation away. Simply contact us today. You won't regret it. 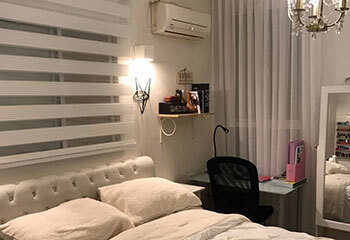 Whether you own a home, a restaurant or an office near the Los Angeles area, with our help you'll find the best blinds and shades for your needs, motorized or hand-drawn. Quality blinds and shades don't have to cost you a second mortgage. A selection of shades and blinds to fit every room and office! The most effective window treatments for protecting your furniture, privacy, and electricity bill simultaneously are cellular or honeycombed shades. Learn about them on the relevant service page here. Roller shades became one of the most popular window treatment options for good reason. These coverings are a simple and affordable way to improve the décor and sunlight control of any room. Learn more here. Pleated Roman shades mix a classic elegance with greater light protection than most simple window covers. Click here to learn more about these excellent coverings. On the hunt for blinds or window shades? Sheer shades might be just what you are looking for. Read more about this style on this page. What's so good about layered shades? How about their easily adjustable sunlight filtering abilities. Not enough? How about the fact that they make for a beautiful décor addition. Still not enough? Learn more here. Don't touch that cord! You no longer have to bother with hand-drawn window treatments. 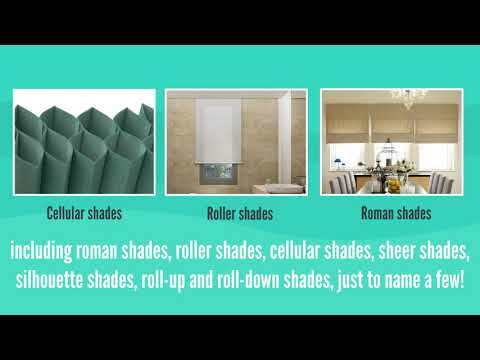 Motorized shades will make things a lot easier, and will offer you all sorts of benefits. Any commercial business can benefit from getting new window treatments installed. New blinds or shades are a great way to promote employee productivity and create a pleasant work environment. Learn more here. If you are looking for window coverings and live or work in Newport Beach, Huntington Beach, or any of the surrounding areas, look no further. Costa Mesa Blinds & Shades will take care of you no matter if you need blinds for your home, shades for the office, or a little bit of both. With so many great products to choose from, you won’t need anybody but us! When you choose Costa Mesa Blinds & Shades, you will always get professional services at a great price. Our team will help you every step of the way when selecting window coverings, taking proper measurements and assisting in selecting a style that best suits your needs. With free consultations and color samples, you can always rest assured knowing you will get something that matches the rest of the décor in the designated area. Getting new window coverings may look nice at first, but don’t always stand the test of time. However, when you choose us, not only will you be getting great products, you will be getting great warranties along with it. Our warranties last five years to life, depending on what it is you get. So whether you are in Fountain Valley, Irvine, or close by, choose us and know that your windows will be covered for many years! Many of the styles of shades offered by us also come in a motorized version. Styles such as roller, sheer and horizontal shades, just to name a few, all have a motorized option. With the push of a button you can adjust your privacy and light levels without even leaving your chair! You can also put them on a timer, so when you’re not home you can still have them adjusted as you like throughout certain times of the day. So, the next time you are deciding whether or not to spruce up your windows with some new coverings, don’t hesitate to go online or give Costa Mesa Blinds & Shades a call. 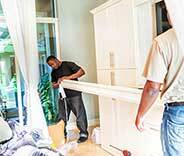 If you live anywhere in the Santa Ana to Tustin area, our professionals will be ready to assist you right away. No matter your needs or budget, you can be sure of us to help! Contact us today and let us take care of you. 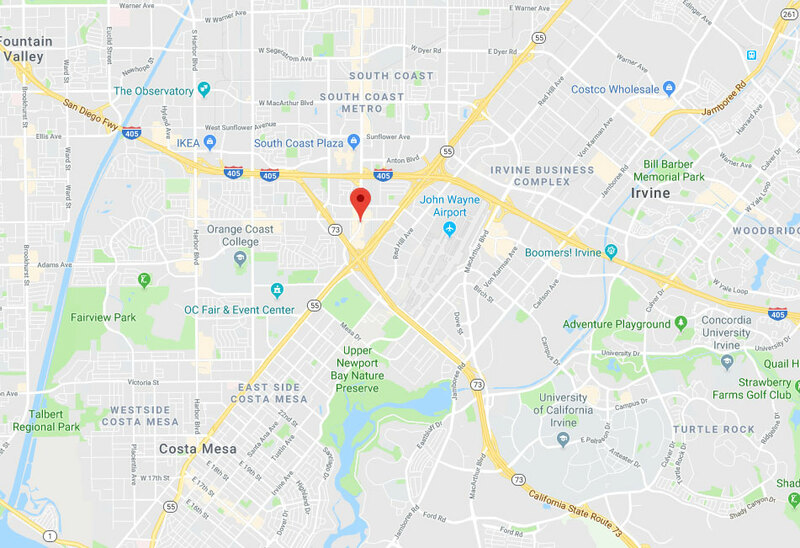 “Where can I find window coverings near me?” LA is a huge area, and so Costa Mesa Blinds & Shades is at your service to make the process as easy as possible. Wherever you live – our team is nearby and at your service. Our team of consultants is professional and ready to answer all your questions. Draperies, blinds and shades custom-made to perfectly fit your windows. A wide range of styles, colors, patterns and designs that can work in any room. Read about a few recent blind and shade installation projects below. 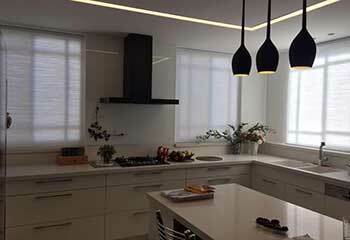 This customer was looking for an economical shading solution for the windows in the kitchen. Learn more here. A studio owner needed new automated shades. Read about the installation process here. A local family needed new window curtains. Read about what our team did for them. This customer wanted wood blinds, but didn't want to have to worry about maintenance. Click here to learn what the solution was. 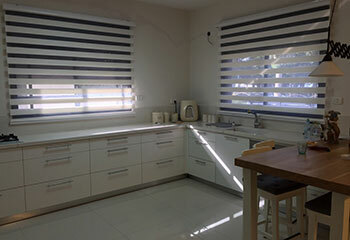 Wide variety, free consultation, good prices, and high quality blinds. Happy with every part of the service, from start to finish. I got roman and layered shades, everything looks great. Your company makes finding the perfect blinds so easy! The free consultation was really professional, and I was really impressed. The new roller shades in my dining room look gorgeous, thank you so much! I didn't expect much and was only shopping around when I scheduled your free consultation, but I was so impressed I decided to go with your specialist. The new blinds look marvelous, thank you very much. Blinds and shades allow us to control how much sunlight gets into a room. These window treatments also let you determine how much UV protection and privacy the room has. Want to improve the décor of your home or office without dealing with extra maintenance? 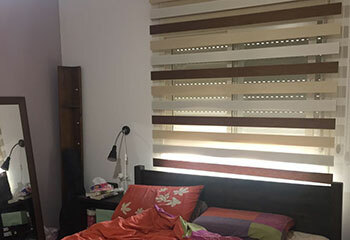 There are faux wood blinds that require minimal upkeep, and motorized shades and draperies that will open and close automatically without you having to lift a finger. Let us help you find the custom made coverings to suit your taste and needs. Book a free consultation today using our online scheduling system. Thank you for choosing Costa Mesa Blinds & Shades! Feel free to browse our website for more useful information until our appointment!